London based songstress Miel de Botton is set to release her new single 'Take Me Away', which is taken from her forthcoming album 'Surrender to the Feeling' released in April. The new single, set for release on 22nd February, was co-written by Miel and Morten Schjolin and executively produced by Andy Wright (Simply Red, Eurythmics, Simple Minds, Jeff Beck and Luciano Pavarotti). It’s a beautifully dreamy and harmonious delight. Miel’s mellifluous vocals soothe and soar throughout. In keeping with the album’s theme of nature and wellbeing, this track is the perfect choice of single to introduce the much anticipated new album. The title of the single says it all. Don’t we all dream of being carried away from the daily drudgery to a place of beauty where we dream we could finally rest? The lyrics referencing the deep blue sea suggest oblivion...and gorgeous nature soothing us. “When I wrote this, I was imagining an ideal man whisking me away to the tropics. Understanding and thoughtful, he would be bringing me joy, ridding me of loneliness”. It is a beautiful scene one can imagine while listening to the wistful lyrics and transporting music. Hence why this is many people’s favourite as to a first single. “It reveals just how much we need to get away and rest” comments Miel. A perfect antidote and wondrous escapism for the often cold, dreary start to the year. 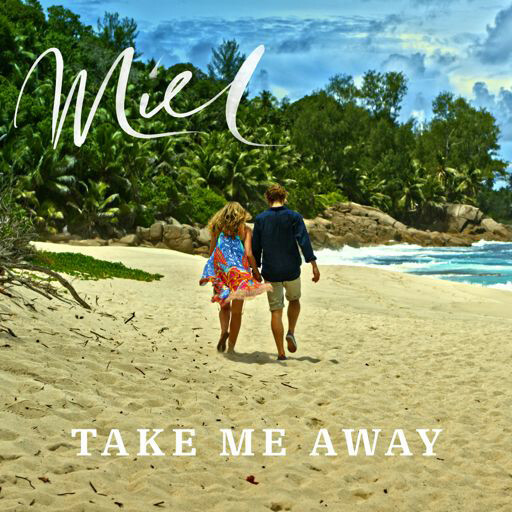 The new single follows on from the release of Miel’s recent EP release ‘I was Given Nature’, whose eponymous single was picked up by the WWF for their Connect2Earth educational campaign. Whilst now focusing on singing /song writing, Miel’s generous spirit and philanthropic work continues to be a big part of her life. She has supported countless peace and community projects as well as the arts and the environment for many years. She has quietly made a significant contribution to many global campaigns and it is only now that she has chosen to focus on her music career that she has stepped more into the public eye and can publicly champion the belief that music really does have healing power. Miel released her debut album ‘Magnetic’ in 2015 and since then has been touring worldwide; this has included some key festival performances such as Camp Bestival and Carfest. There have also been many sold out concerts in venues such as Crazy Coqs, The Pheasantry and Dean St Jazz Club, plus support slots with artists such as John Barrowman and Rhydian Roberts. Miel’s second album ‘Surrender To The Feeling’ is due to be released in April 2019 and she will be touring with Wet Wet Wet next April/May. New live dates will be announced soon.